You already know that your business needs to produce content that is relevant valuable for your audience. Choosing the right content and distribution channels depends on your audience. One of the best ways to guide your strategy is to create accurate user personas (also known as ‘buyer personas’). User Personas are the foundation for personalized content your company can use in all marketing campaigns. User personas make content more relevant and valuable for your customers. Buyer Personas are an often over-looked element of online marketing strategies. Yet, they are the foundation for profitable business and marketing decisions. Why do so many business owners overlook the importance of buyer personas, even though these personas as vital to their success? One reason could be that business owners don’t understand the importance of user personas. So, today I want to overview buyer personas and what characteristics make a persona work for your business! User personas are research-based models that represent your customers. These models help you identify key aspects about your customers that your business. Personas help you optimize marketing campaigns because they align your efforts with your audience. You need to have a clear understanding of who your audience is to provide solutions through content that resonates with them. Your message needs to be powerful enough to drive conversions and focused enough to stand out from your competition. Personas are the foundation for you to build successful business marketing campaigns. What they are trying to do. What goals drive their behavior. How they think and buy products. Your business serves individuals. While each person is unique, problems people face are similar. These problems can be generalized in your customer-base with developing detailed personas to reflect your audience. What do they want to learn? What do they need to make a buying decision? Where and how will they consume content? How can I create content that converts? You should always reference your personas as you build out your marketing strategies. I have seen companies waste lots of money marketing a product to an audience who did not need what they were offering. As you develop examples of your audience, you should focus on address a core set of points. 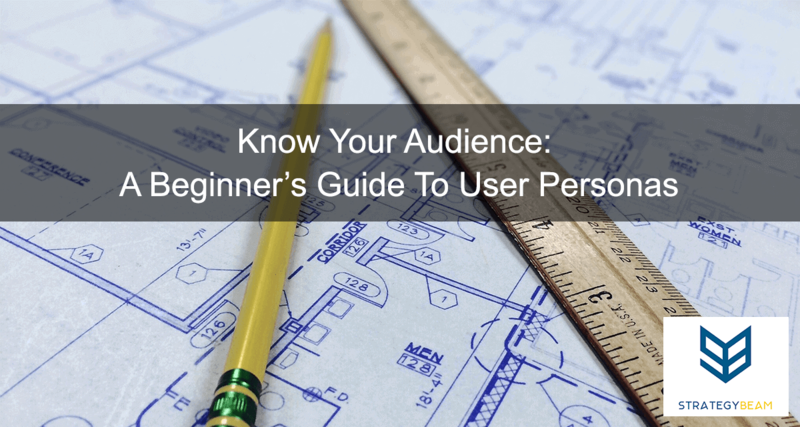 There are many data points you can include in your user personas to represent your target audience. These data points will vary based on your market, target audience, and product. Since the above list is generic, you can customize the approach and application of the data you use. The good news is that real-life feedback and statistics will help you refine your user personas. In turn, your business will be able to direct business decisions. As you continue to refine the demographic profile of your user personas, you will begin to identify key conversion points where you can build content to help the Customer Journey. While the buying cycle of your customers will vary based on product, market, and price, you will be able to develop and distribute content to help move your customer along the path towards acquisition. When you’re ready to drive traffic and conversions for your business, then contact me to learn more about how I can help you improve your digital marketing strategy! I will help you create user personas and apply them to your marketing plans that will build your business to the next level! Now it’s your turn! How has your business used user personas to improve marketing and business decisions? Let us know in the comments below!